POULTNEY, VT (07/30/2018)-- Wendy Ferguson of Metamora was one of more than 160 students who received degrees during the commencement ceremonies on Saturday, May 12, 2018. 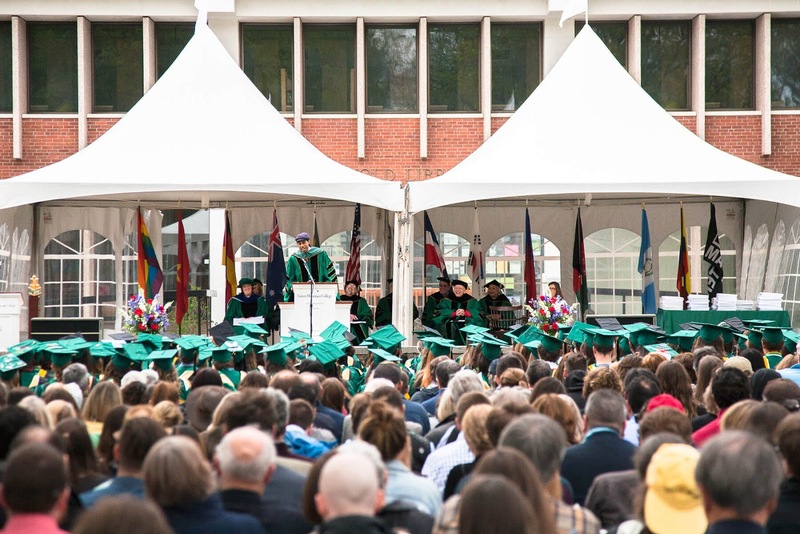 Green Mountain College conferred 108 bachelor's and 59 master's degrees. Mustafa Santiago Ali, Senior Vice President of Climate, Environmental Justice & Community Revitalization for the Hip Hop Caucus delivered the commencement address. For more than 20 years, Green Mountain College has focused on environmental, social, and economic sustainability. Its curriculum is rated #1 in the nation, and the college has been recognized for its leadership in sustainability more than any other college in the country. Its faculty members are leaders in their fields, with proven success teaching and mentoring GMC students to take on the great challenges of these times.